Welcome to London Coin. We are a Newport Beach coin dealer in Orange County CA. 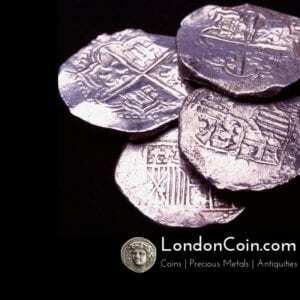 Find rare coins, bullion, appraise, buy and sell estate coins, precious metals such as gold, silver, platinum, rare antiquities, eclectic finds and more. When you come in to see us, we want to spend ample time with you, answer all your questions, and properly evaluate the coins, precious metals, and items you’re bringing in to provide accurate information and value. We ask you to schedule an appointment with us prior to coming in if you’re looking to liquidate an entire coin collection, precious metals, or get an appraisal. If you’d like to shop our eclectic, diverse finds, no appointment is needed. We value our clients, their time, and want to make sure you have a great experience with us. Since 1990, we have been the #1 referred Newport Beach coin dealer in Orange County due to our experience in the coin, precious metals, and antiquities industry. We have sold millions of dollars of worth of coins and have a following of coin and other collectors world wide. Our experience extends beyond Numismatics to include fossils, ethnographic art, diamonds, fine jewelry and watches.